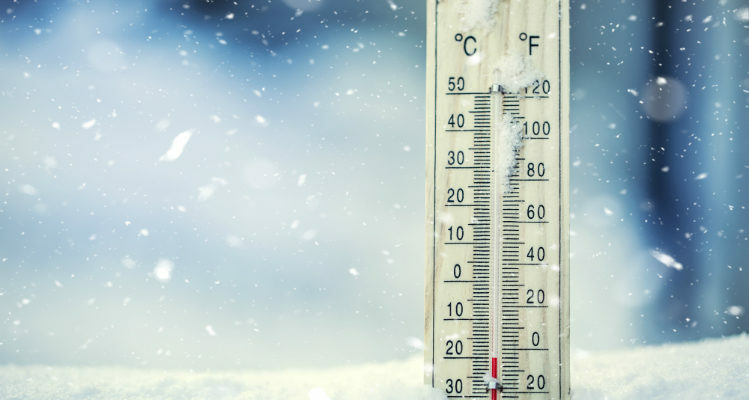 As we prepare to get very festive at our Steel Bones Christmas Party we thought you might appreciate some pointers on managing the cold weather. GET A GRIP – Standard tennis shoes or even heavy duty boots don’t really cut it when it comes to navigating icy terrain. I like to use YakTraxon my shoes to help gain traction on questionable surfaces. They are affordable and attach very easily to any kind of shoe. The steel coils work quite well for digging into ice as you walk along! I keep a pair in the car just in case! KNOW WHAT YOU’RE GETTING INTO – If the weather’s looking questionable, it’s well worth having an idea of exactly what types of circumstances you’ll be encountering throughout the day so that you can be prepared for any situation – AHEAD OF TIME! If you’ll be dealing with snow and ice, bring your YakTrax along with you. If it’s snowing, consider how you may move in wet snow vs dry snow. Know if there are any alternative routes you can take to avoid encountering snow or ice. Honestly, if it’s looking too awful outside, perhaps it’s best just to stay in! Always keep your safety and well-being ahead of anything else! Enjoying the outdoors should be open to everyone, in spite of any sort of weather! Whether you’re getting out to build a snowman, ski down a mountain, or go hunting – you shouldn’t let having an amputation or limb difference stand in your way of doing what you love! I encourage everybody to get outside and enjoy your life! Trevor Bunch is a bilateral above knee amputee, personal fitness coach, and athlete. Physical activity has always been a passion of his, and he has put that passion to use by helping coach other amputees at all stages of their journey. Whether it’s motivation/mindset coaching, exercise or nutrition instruction, Trevor is always happy to help those who reach out to him maximize their physical potential! 2)Don’t Shy Away from Support. If you’re an above-the-knee (AK) amputee, a double amputee or are still getting accustomed to your prosthesis, it’s best to use some kind of ambulatory aid during icy and snowy weather. Devices such as canes, crutches or walkers offer a small bit of extra stability, which can go a long towards maintaining your balance on icy surfaces. Most home medical equipment (HME) stores and pharmacies carry ice tips that attach onto the ends of canes and crutches, giving you that extra bit of balance. 3)Keep Your Residual Limb Warm. It’s easy for the cold weather to cause pain and irritation in your residual limb, especially if you’re used to keeping it covered. That’s why it’s important to keep it warm when you are venturing outside without a prosthesis. Your extremities are the first place that frost bite targets, so if you plan on being in cold weather, be sure to keep your residual limb covered. 4)Be Cautious of All Surfaces. While sidewalks treated with sand or ice may seem safe, they could still be hazardous to lower-limb amputees. Because there’s a barrier between your prosthesis and the surface you may not immediately notice when you start to lose traction. Approach such surfaces with caution, and make sure you have an ambulatory aid handy in case you do need additional stability. Remember send in your own tips and pointers so we can include them.